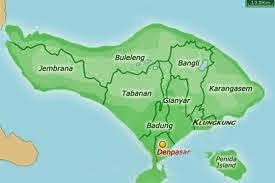 Bali News: The world's largest travel site, TripAdvisor announces the Best Island in the World. This year's awards were announced to honor the more than 100 islands around the world, including a list of Asia, Africa, the Caribbean, Europe, South America, South Pacific, the United Kingdom, and the United States. This annual award is based on millions of valuable reviews and opinions from TripAdvisor travelers worldwide. TripAdvisor community conducting traveling has found the best islands in the world as a perfect escape. Most of the tourists feel comfortable in these islands. They assess, these islands are very suitable as a place to lay on the beach or looking for adventure. Visiting the place, it will be an incredible journey. In the list of 10 best islands in the world, Bali entered as the seventh position. And for Asia, Bali entered as the best island in Asia are in the second rank. The winner of this award, determined by using an algorithm that takes into account the quantity and quality of reviews and ratings hotels, restaurants and attractions on the islands around the world, collected over 12 months.